Are your Marketing Qualified Leads (MQLs) progressing to the end of the funnel? You’ve got problems in the middle of the funnel but you don’t know what to do. Is it really a volume issue? Could it be the velocity? Why aren’t the MQLs converting? So what are you waiting for? 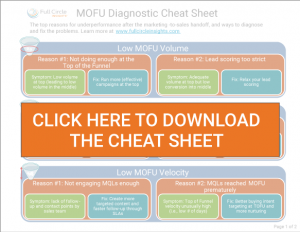 Download the diagnostic cheat sheet now. 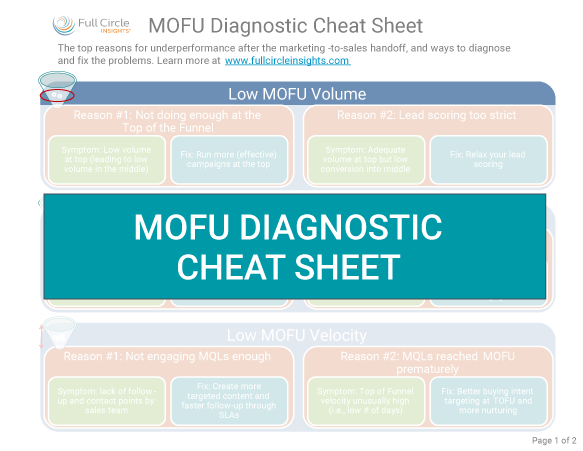 Thank you for requesting the Full Circle MOFU Diagnostic Cheat Sheet.